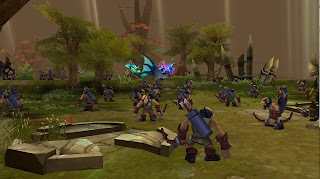 The Lost Titans is a free browser-based 3D MMORPG that is very successful in Asia and is now available in the US and other territories. Based on Greek mythology, this game is set in the land of Aristos, where an eternal struggle between two titans, Ophion and Hyperion is ravaging the world. One day, Hypherion disappears and it’s up to you, as one of the warriors of the City of Light, to discover the reason for his disappearance while saving the land from a terrible evil.